Some indicators of a reliable software solution are positive reviews and awards coming from professionals in the industry as well as positive feedback from users. Apparently, Syptus Content Marketing Platform successfully met both pre-requisites in a thorough analysis conducted by independent B2B software directory FinancesOnline. In a Syptus Content Marketing Platform overview delivered by FinancesOnline’s experts, our comprehensive content marketing tool was praised for enabling users to fuel their entire content marketing lifecycle with “highly actionable data.” Simply put, marketers can conceptualize, strategize, and power their operations and workflows with the guide of our advanced analytics, stated FinancesOnline. Syptus Content Marketing platform hosts a number of functionalities designed to simplify the life of marketers and enable them to stay creative all throughout the marketing lifecycle. Recognizing that this is not an easy feat, FinancesOnline recognized Syptus Content Marketing Platform under their best content marketing software category. 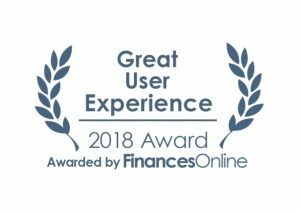 An intuitive interface and well-designed functionalities are the two main qualifications for a business product to be discerned with this FinancesOnline award. With all the aforementioned praises from FinancesOnline’s review experts, it isn’t a surprise to see that our users fell in love with our software as well. 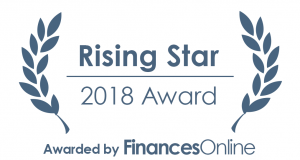 This is indicated by the Rising Star award we received from FinancesOnline, granted to SaaS tools that are deemed as a reliable brand by users.